Israel has been successful in handling, mitigating, and avoiding cybersecurity threats, using technology to ensure the safety of its information and people. The Philippines can use the same approach to strengthen law enforcement and protect the land against cyber attacks and other criminal activities. 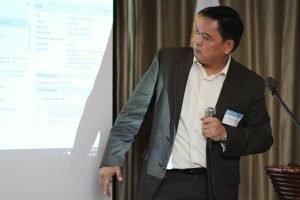 Cybersecurity and computer forensics expert Drexx Laggui cited the need for a better way to prevent criminals and terrorists from doing their illegal activities in the Philippines and getting away with it. Speaking at the concluded Cyber Defense Forum: Are You Prepared, organized by the Israel Chamber of Commerce of the Philippines (ICCP) in Makati City, he emphasized that these criminal elements exploit technology to execute plans and stage their escape. 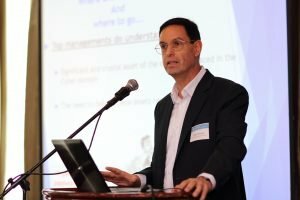 By adopting the strategy of Israel, the country can develop tighter cybersecurity laws and a robust IT infrastructure. Modern technologies make communicating and transmitting data easier and quicker, but the same technologies pose a threat to international security, including developing countries like the Philippines. Criminals use mobile devices and the Internet to plot their attacks, carry out their plans, study their targets, access information without permission, hide their identity and activities, and hack private and government websites. In the forum held on October 25, Laggui stressed the importance of shifting control on the cyber-realm by training local law enforcers to use these modern technologies efficiently. He said that although state-of-the-art hardware is available, if authorities don’t know how to maximize their use, cybercriminals will end up always one step ahead. 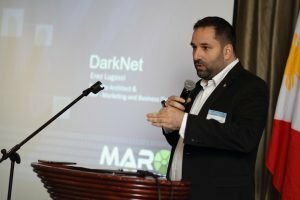 Erez Lugassi, Security Architect at the MAROEV Cyber Systems, Inc., a cyber defense consulting firm, said that the key to preventing terrorists and criminals from recruiting members is to work with foreign companies and invest in technologies used by other countries, such as Israel. The nation is considered a cybersecurity powerhouse. According to Lugassi, this approach will allow the Philippines (as a nation) to protect its sensitive information and deter crimes, including those performed on or using the Internet. The partnership between Israel and the Philippines is going strong. In fact, the countries vowed to help each other by initiating projects that will improve the bilateral relationship and the people’s lives. Israel is currently supporting the Philippine government’s efforts to rebuild Marawi after its liberation from terrorists. Israel Ambassador to the Philippines Effie Ben Matityau stated at the start of the forum that the two countries are working on different projects aimed at achieving food security in the Marawi area, as well as collaborating with Mindanao State University to help students develop their agricultural skills. ICCP President Itamar Gero confirmed the healthy and favorable relationship between Israel and the Philippines, citing the different business opportunities created in the agriculture, tourism, and cybersecurity sectors.